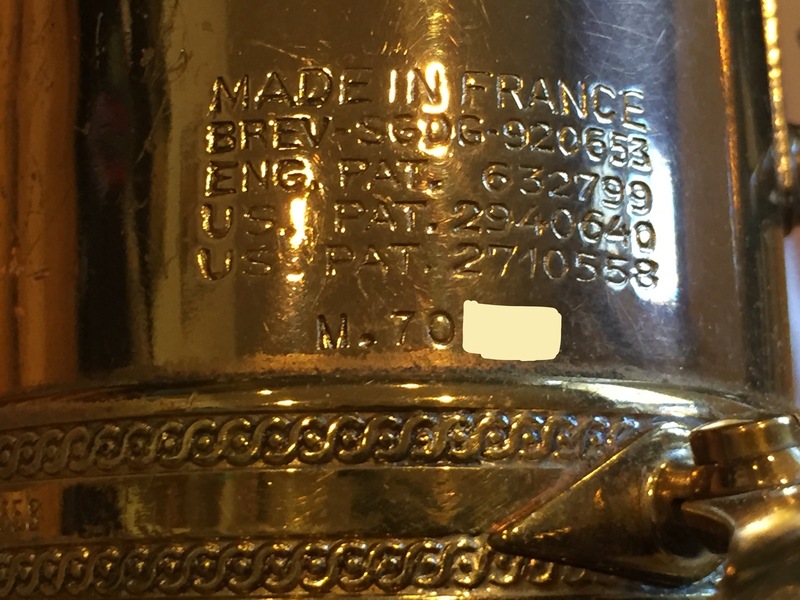 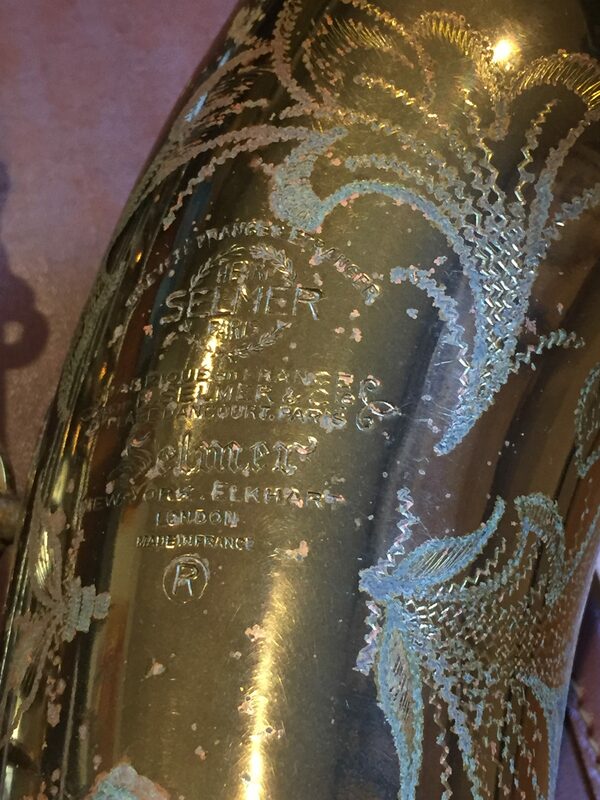 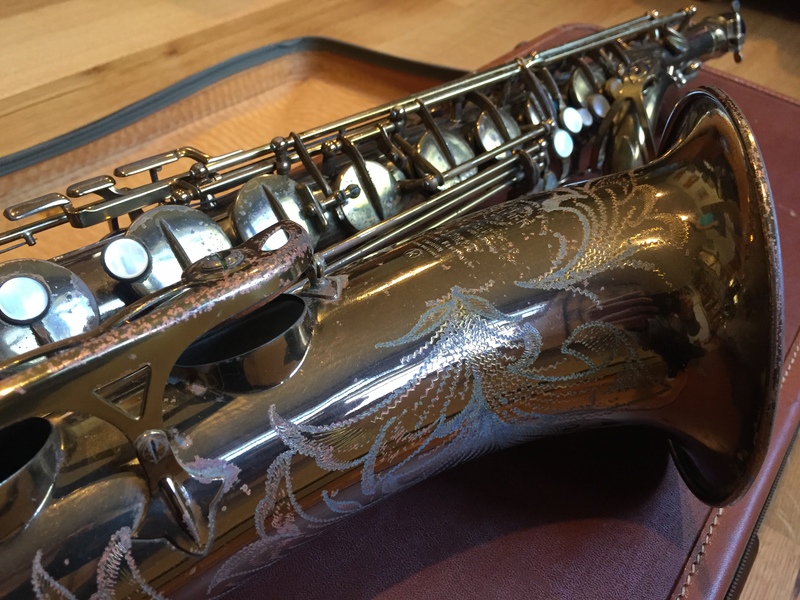 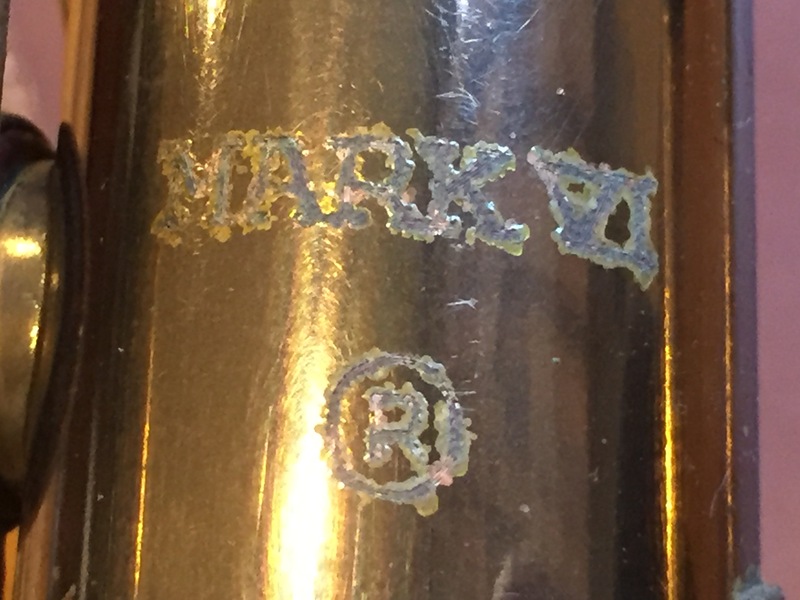 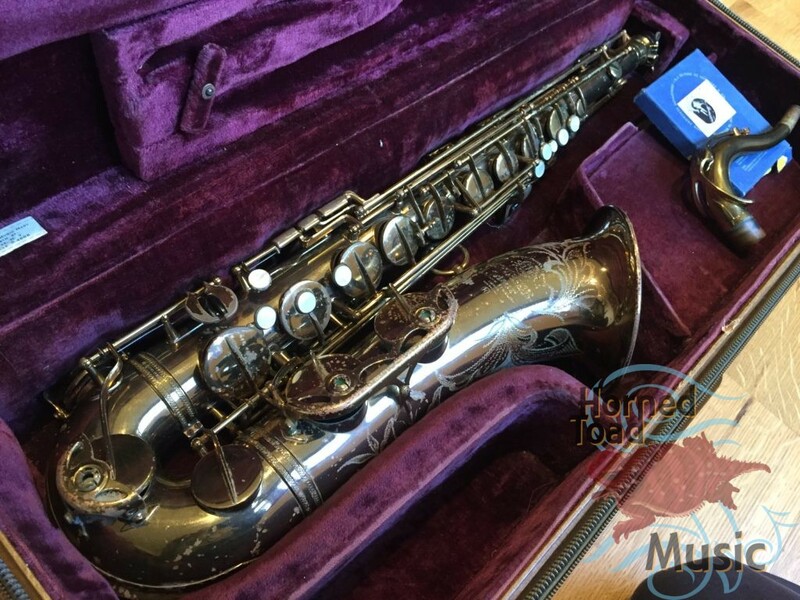 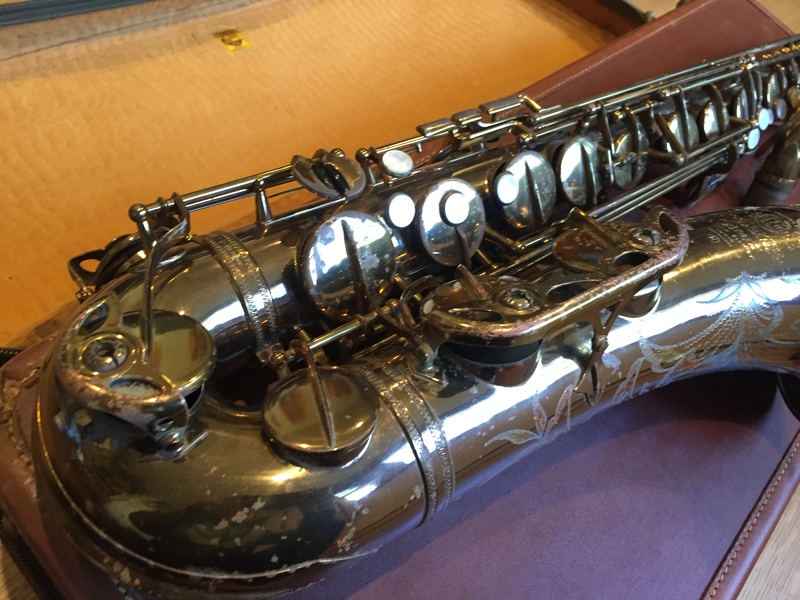 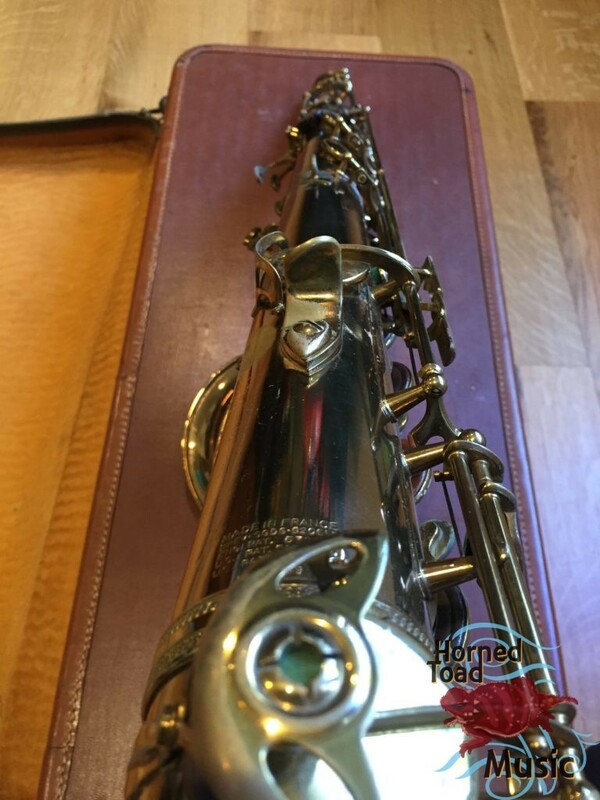 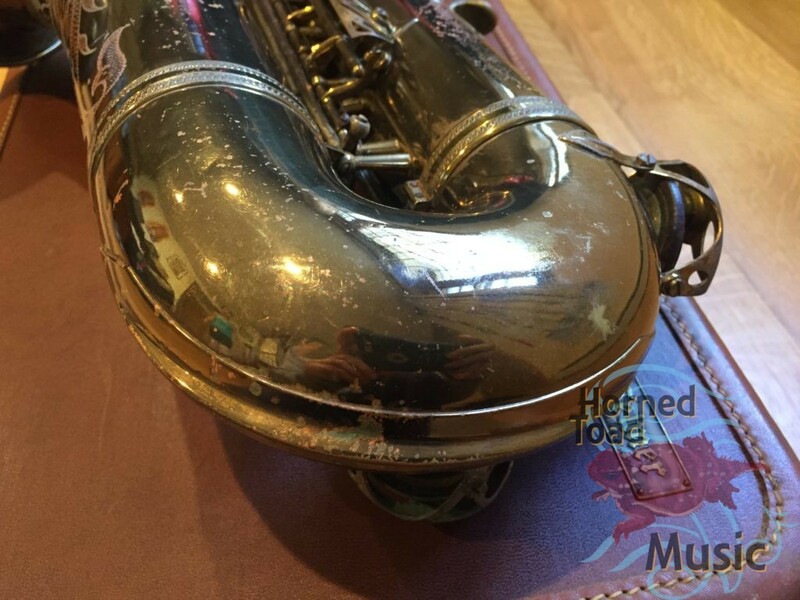 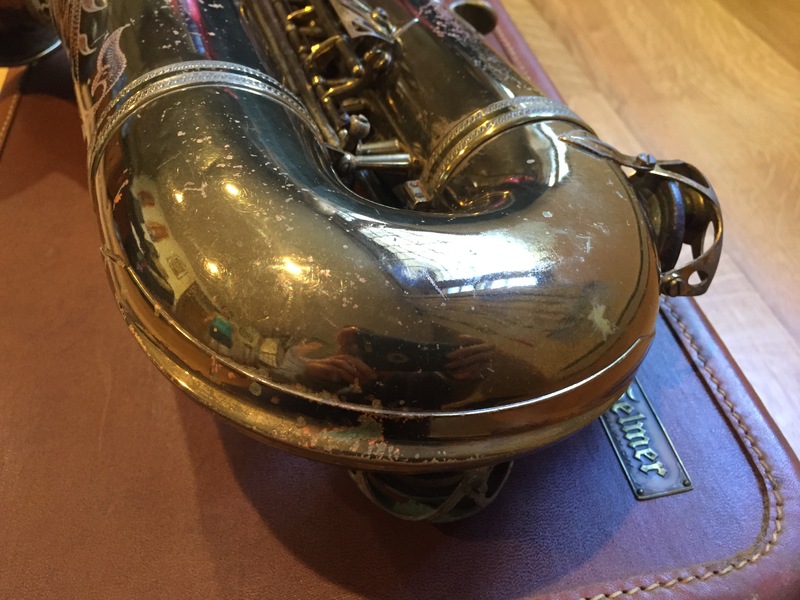 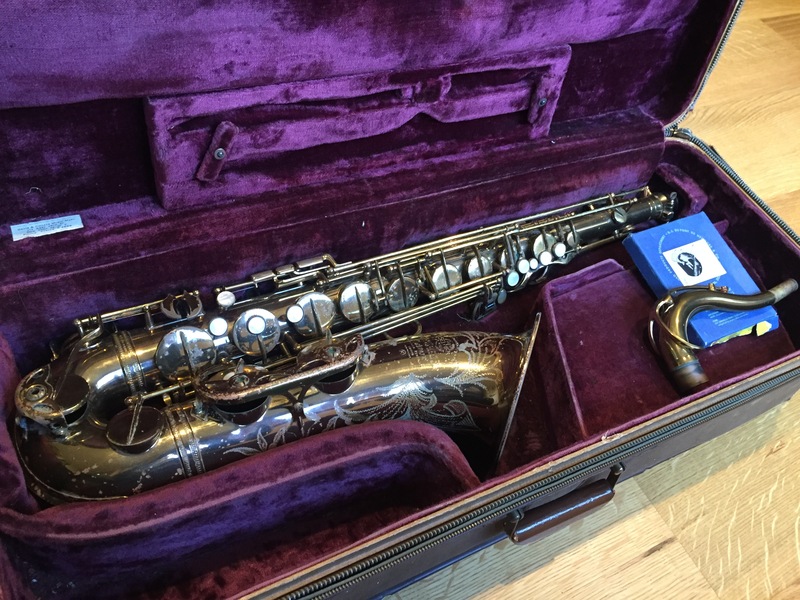 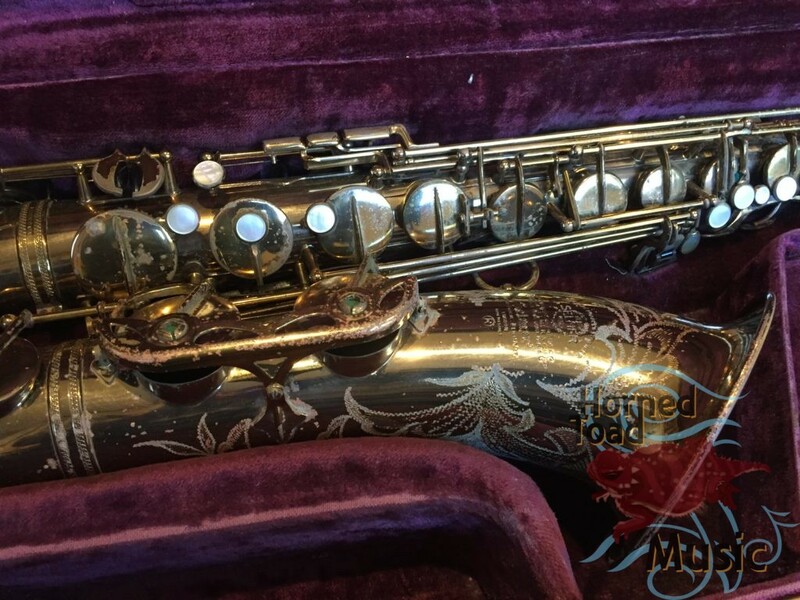 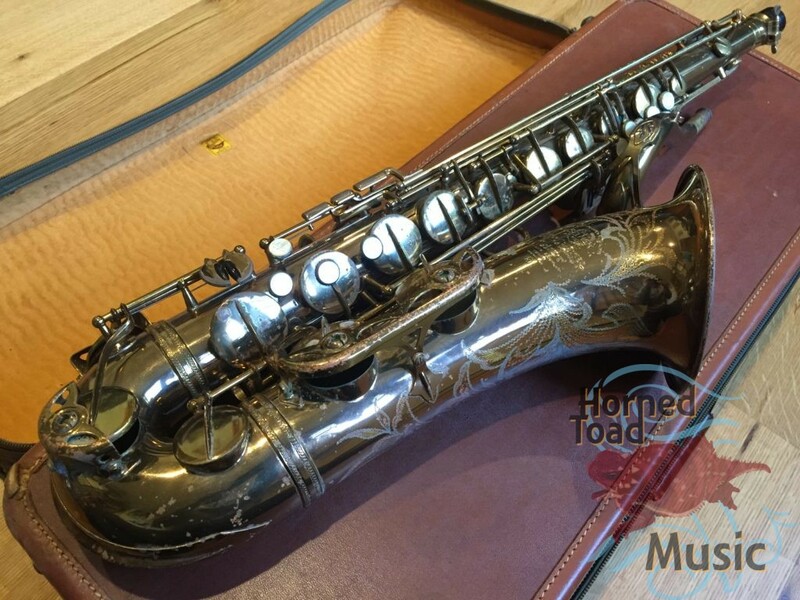 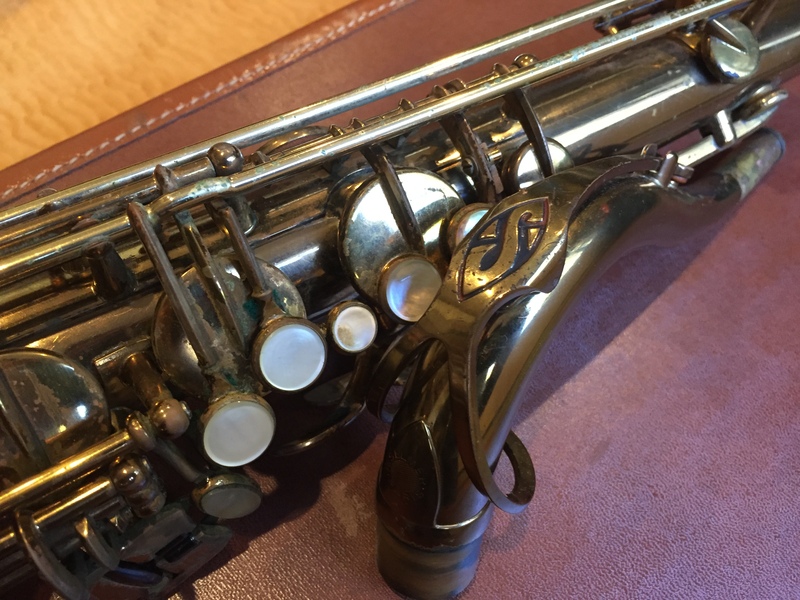 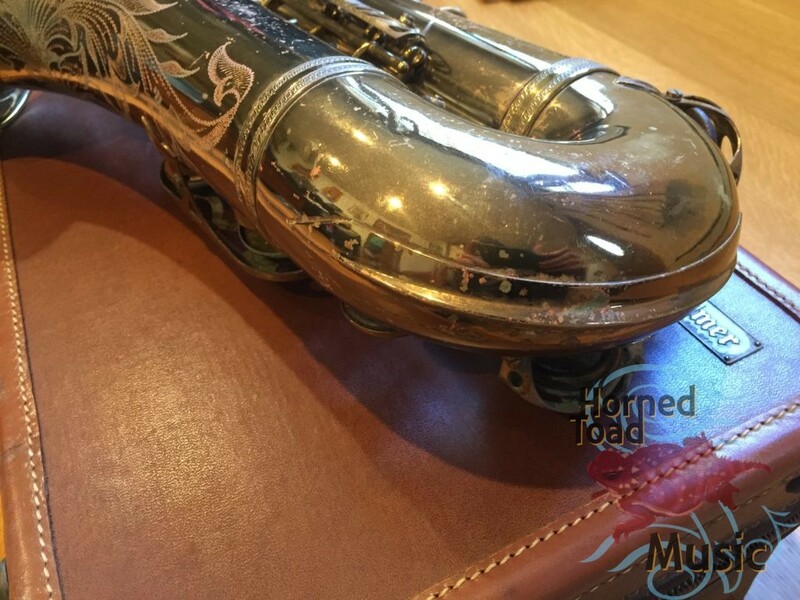 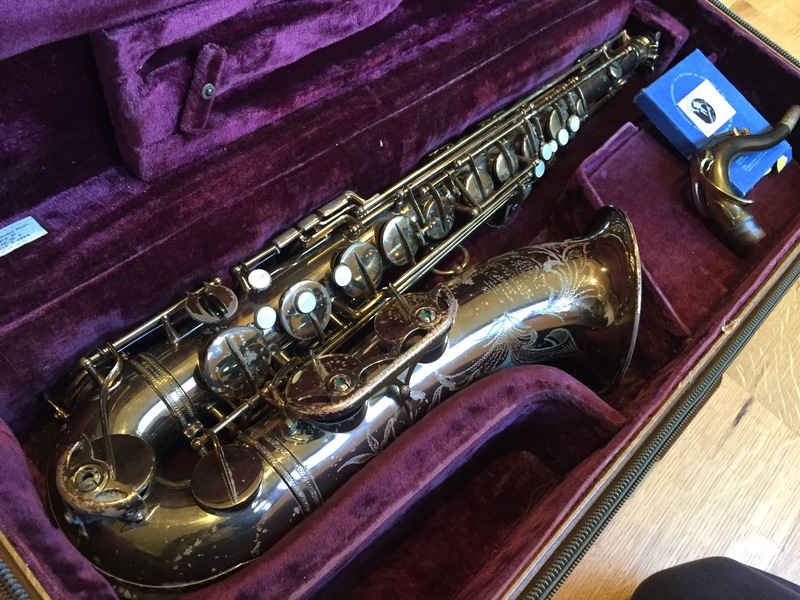 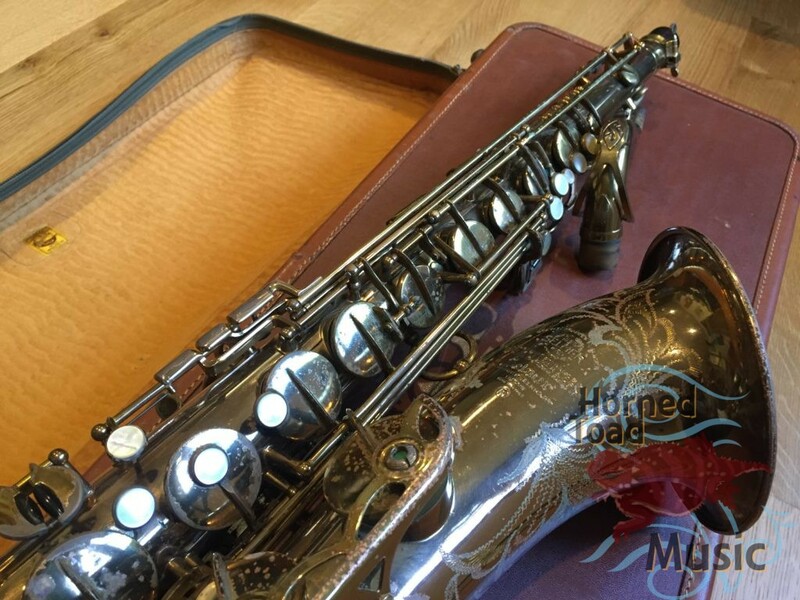 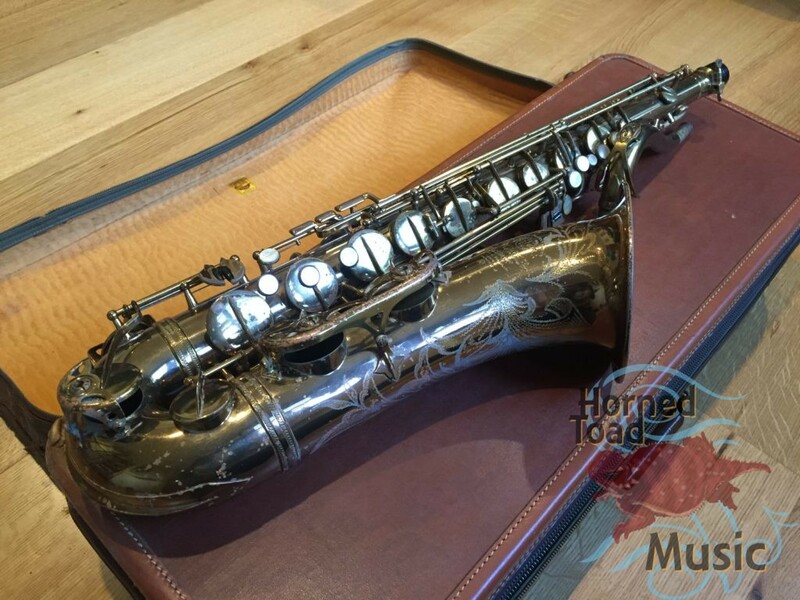 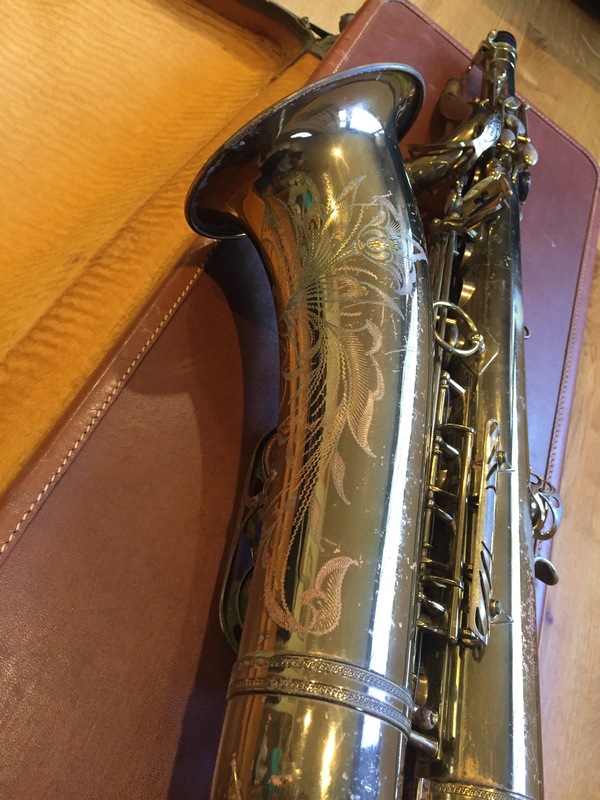 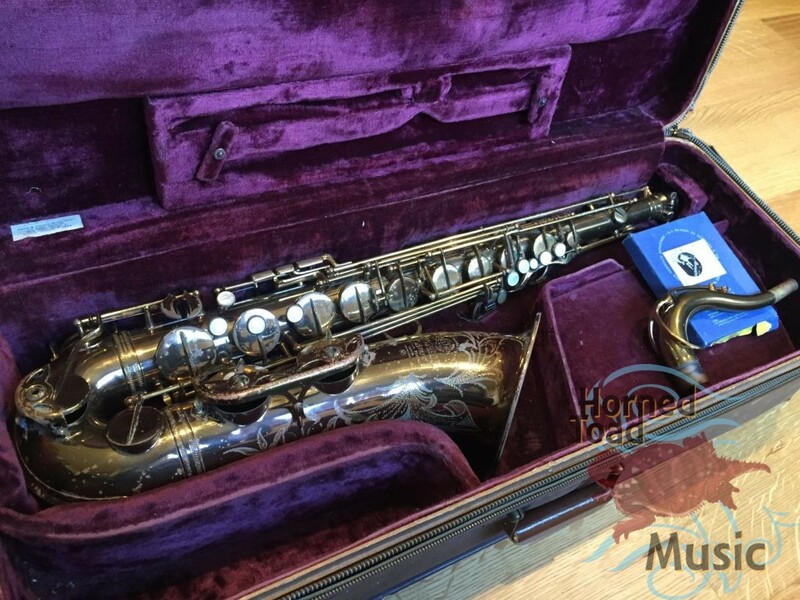 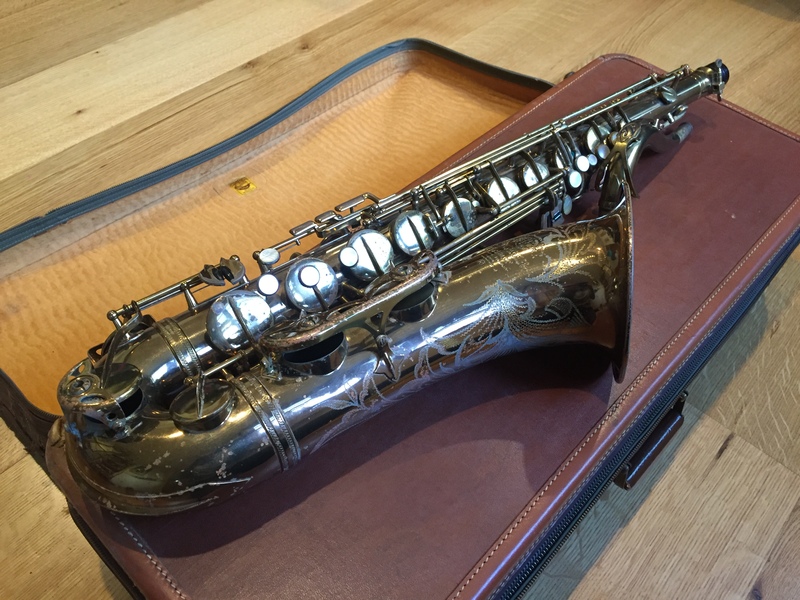 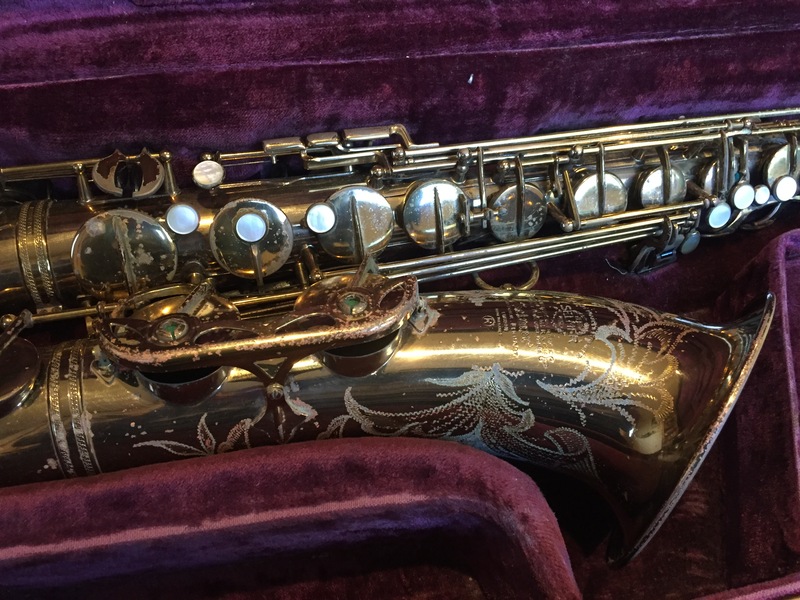 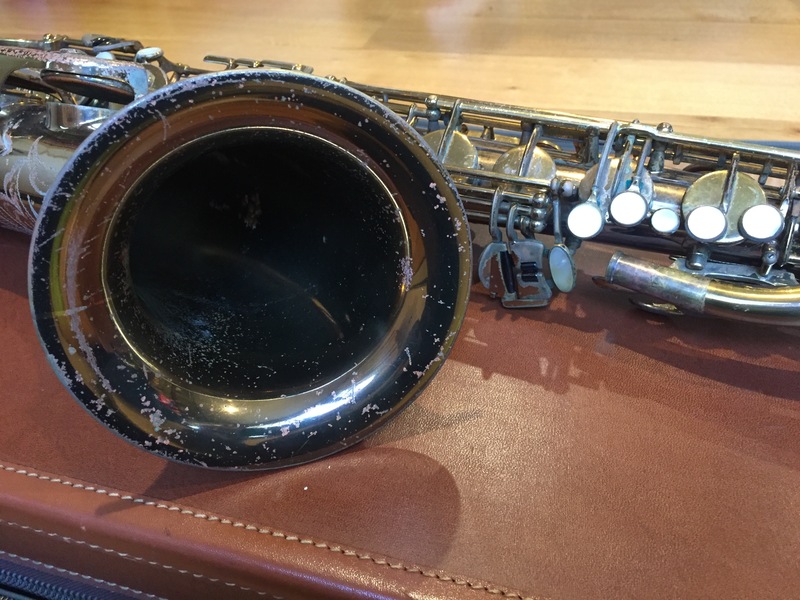 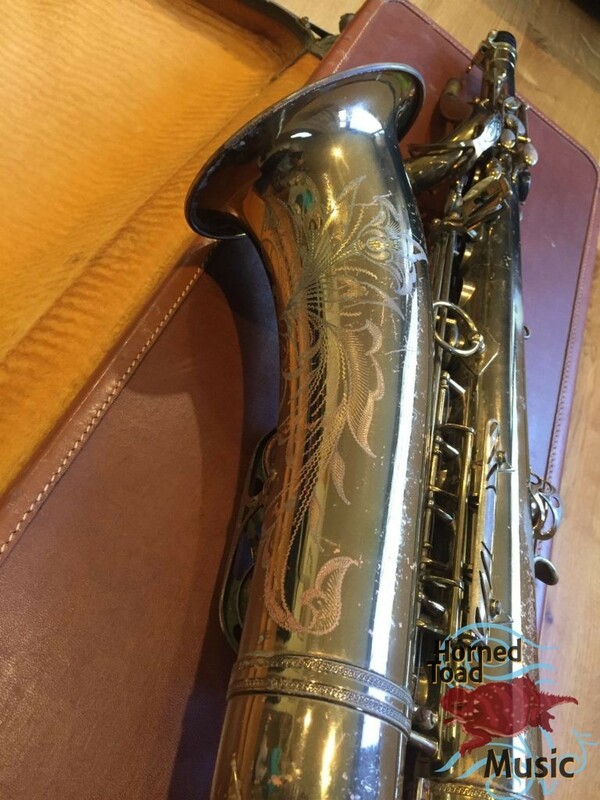 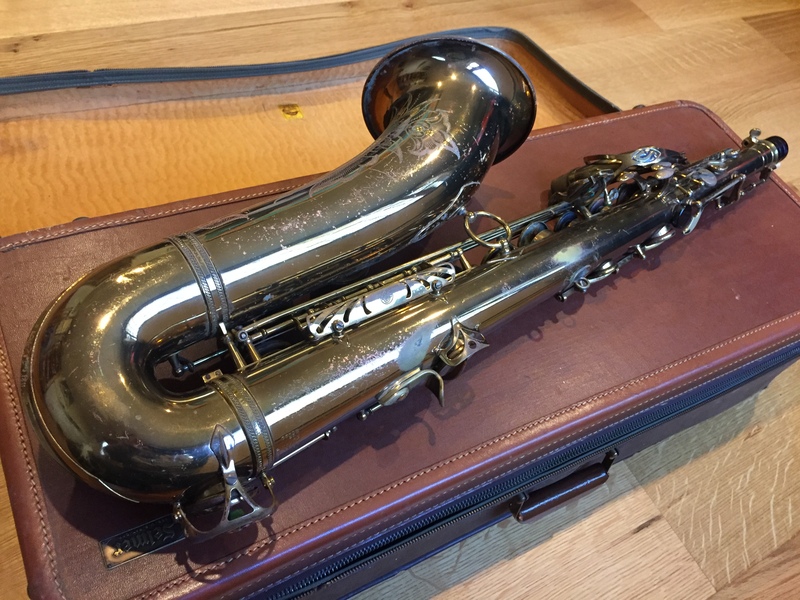 This is a truly amazing piece and find, Selmer Tenor MK VI #70xxx in original U.S. engraved gold lacquer that has turned rather dark. 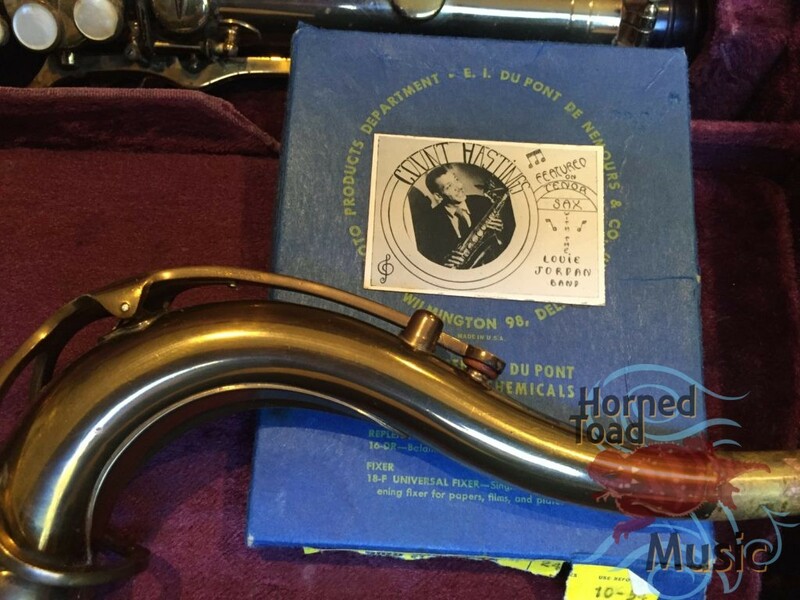 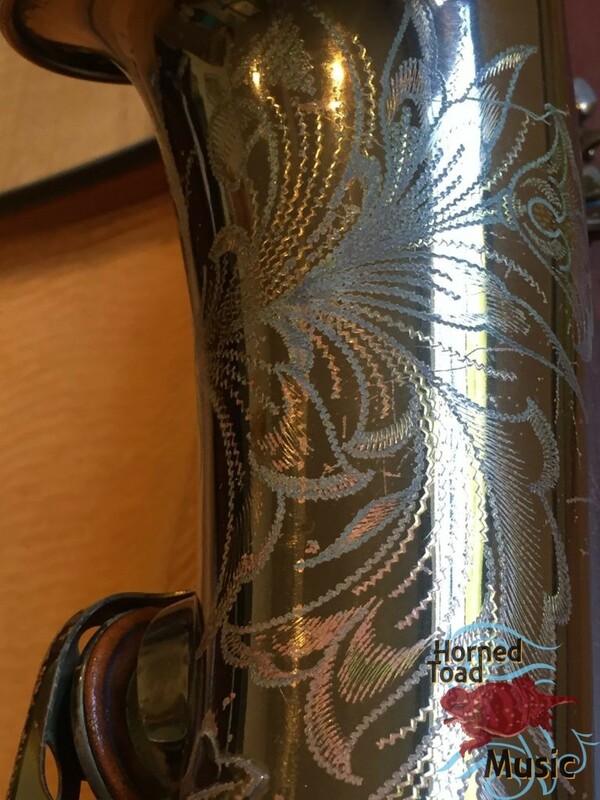 This horn is from the estate of “Count” ‘Red’ Hastings, (Lowell Hastings). 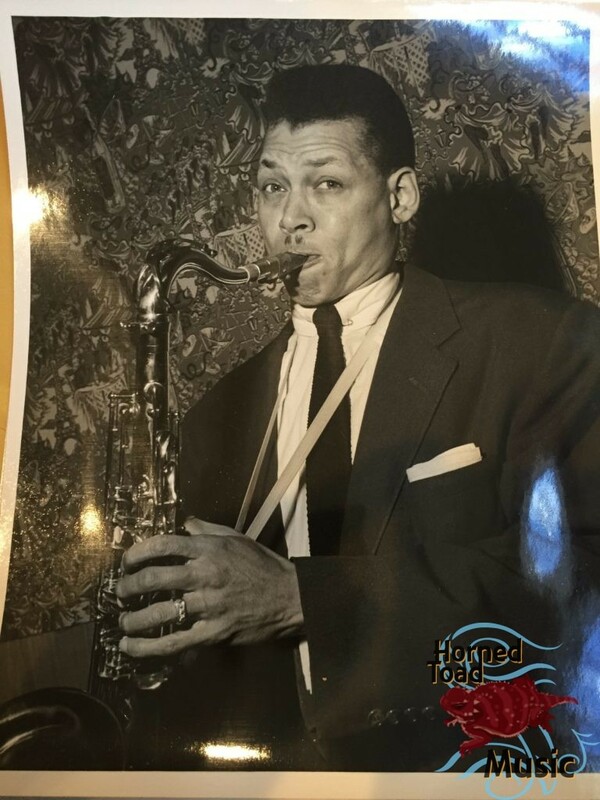 He was a member of the famous Louis Jordan band and also associated with numerous other very famous musicians from the the golden age of jazz. 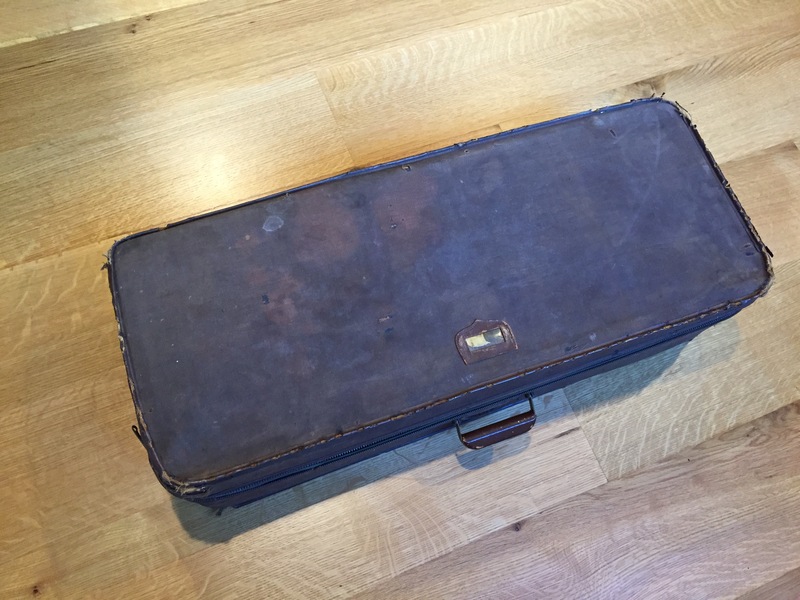 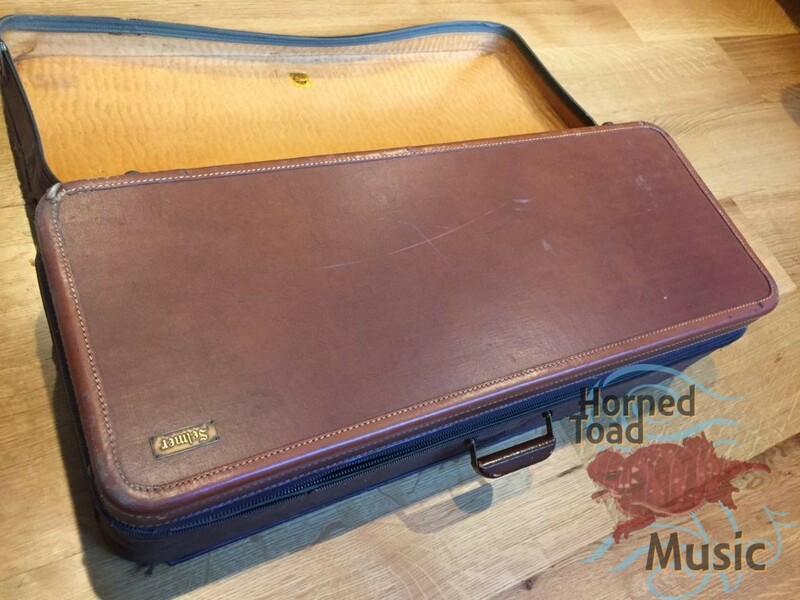 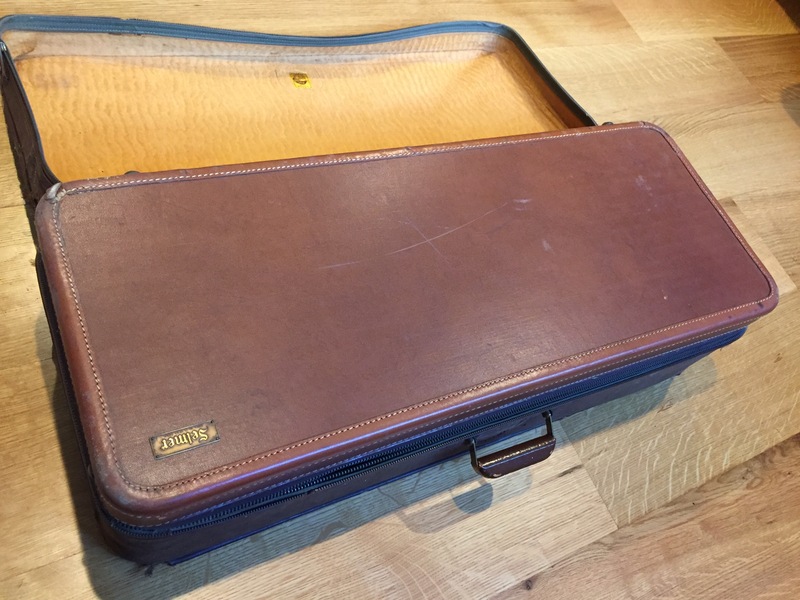 Included is the original trey-pack case in decent condition with a slightly functional zipper, as well as the original case cover (in ratty but fitting condition). 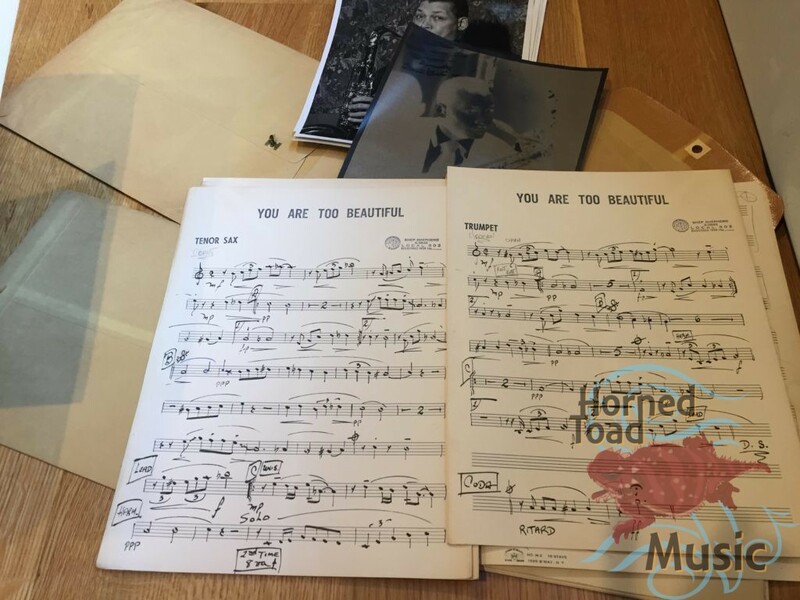 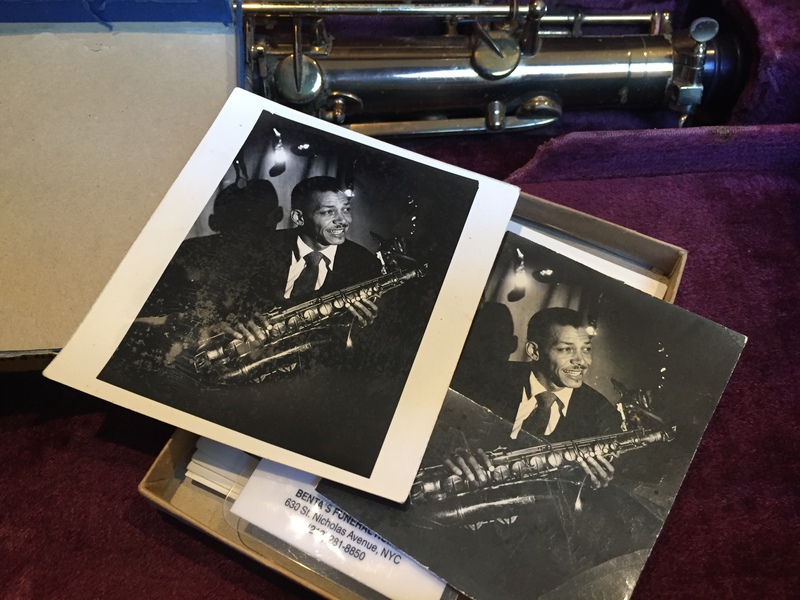 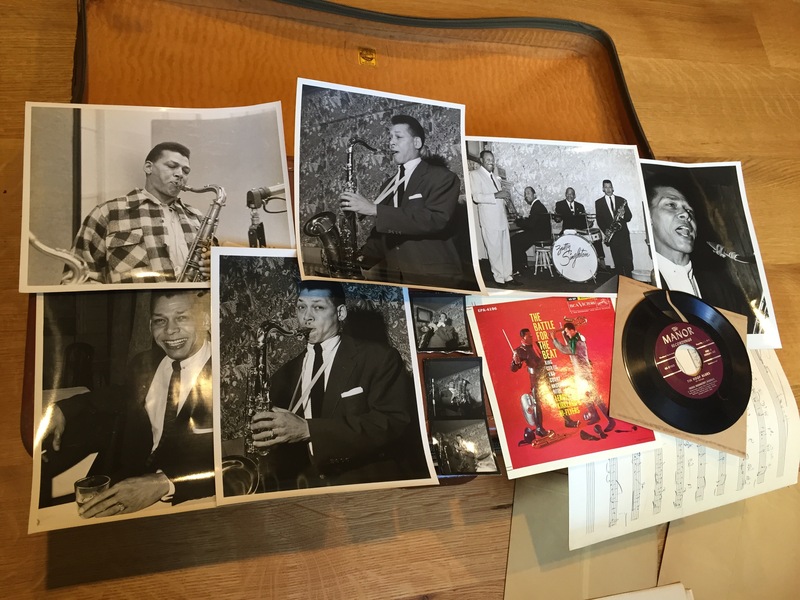 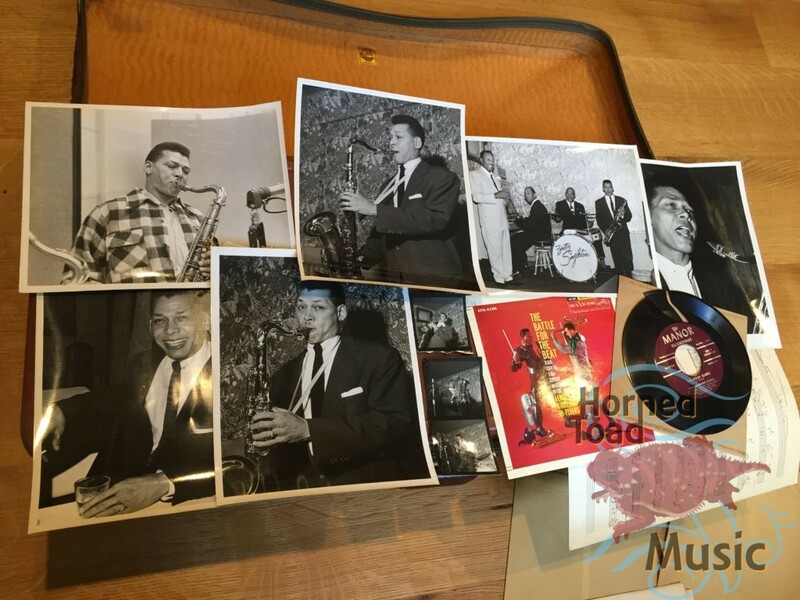 Also included are numerous original photos (showing him playing THIS HORN) as even music arrangements probably used by famous names written in his own hand. 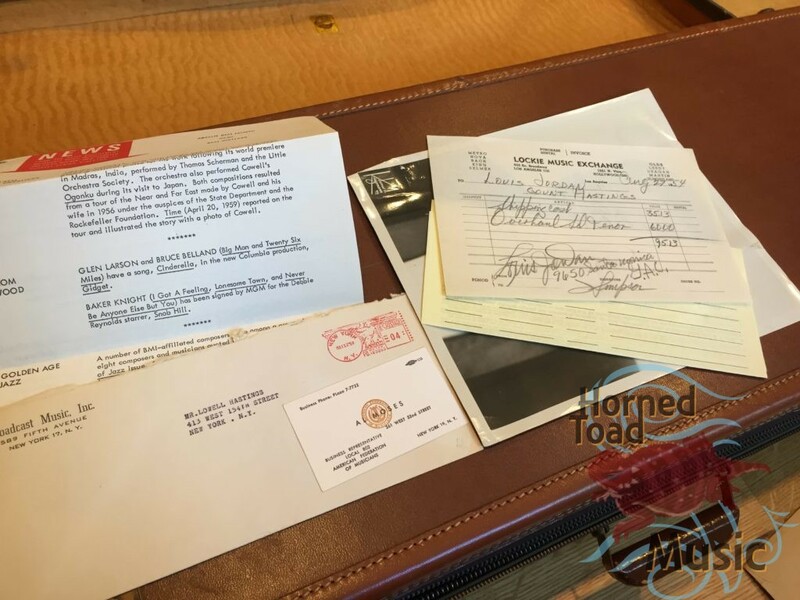 We even have a receipt for an overhaul ordered and signed for by Louis Jordan himself. 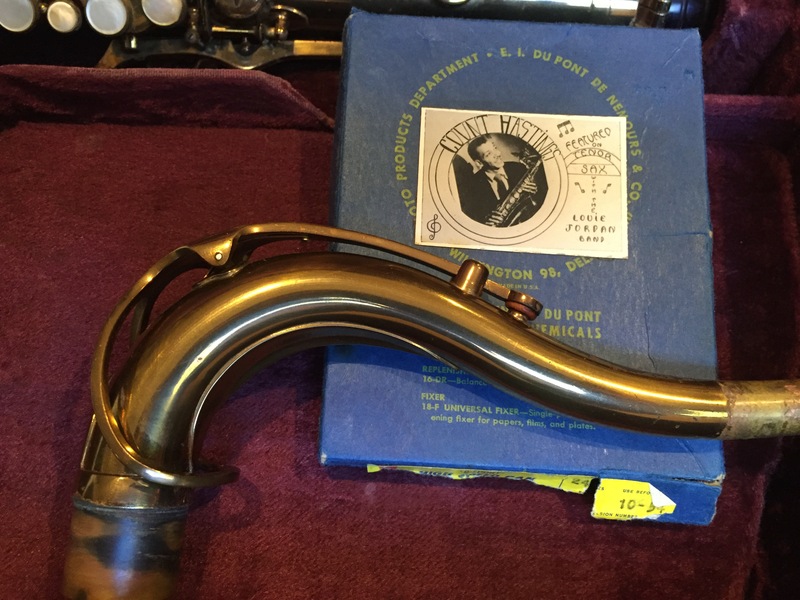 This is a treasure trove of thrilling history. 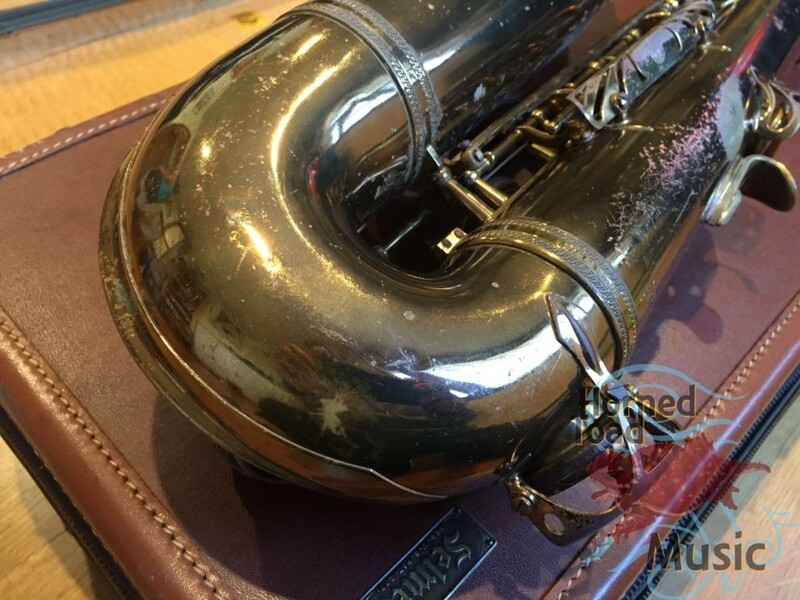 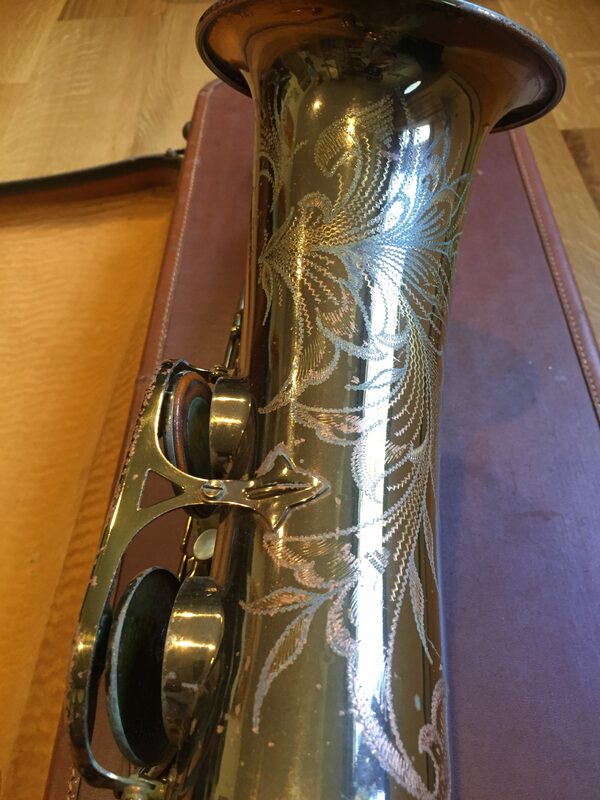 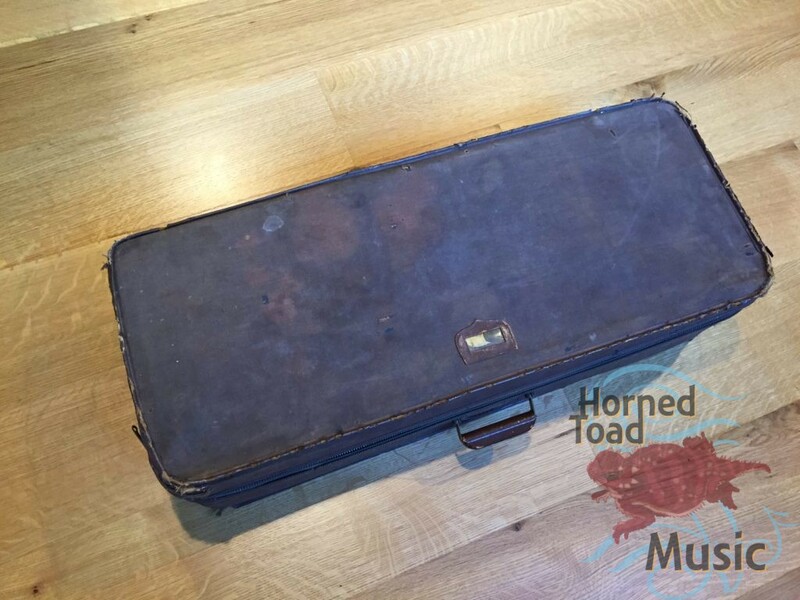 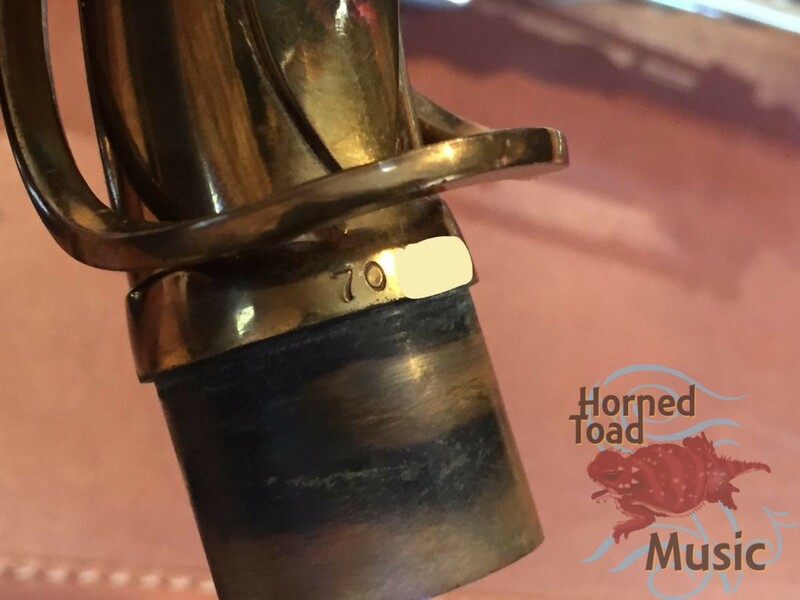 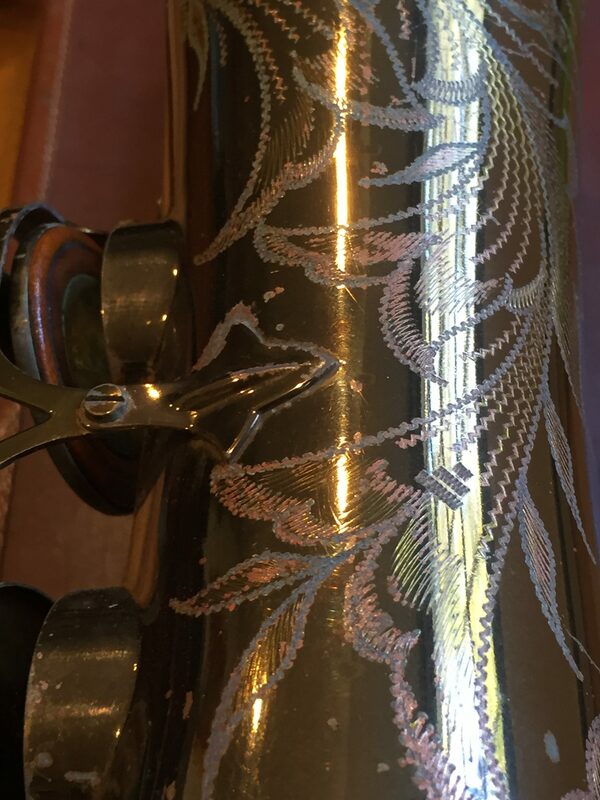 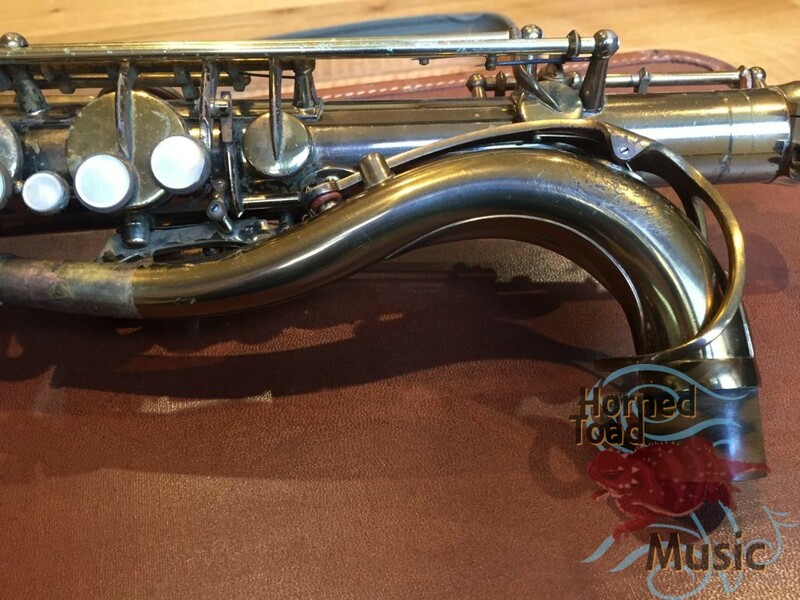 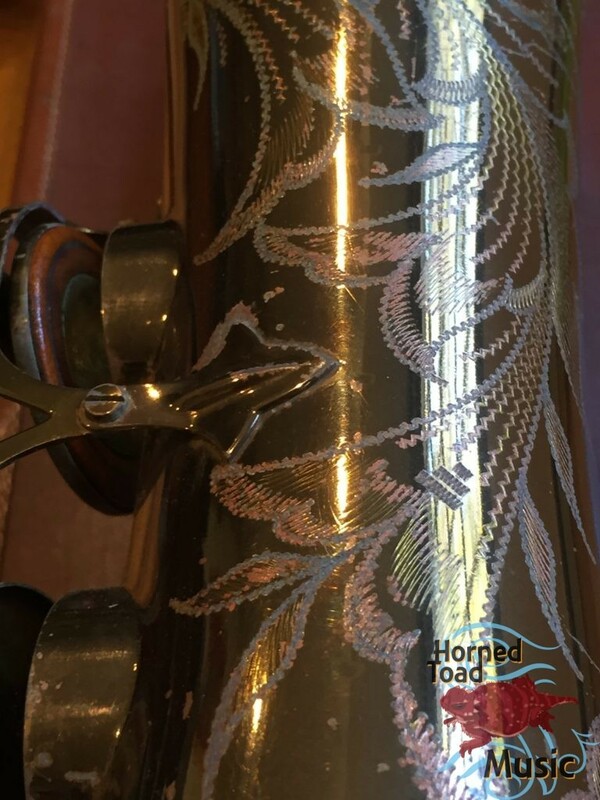 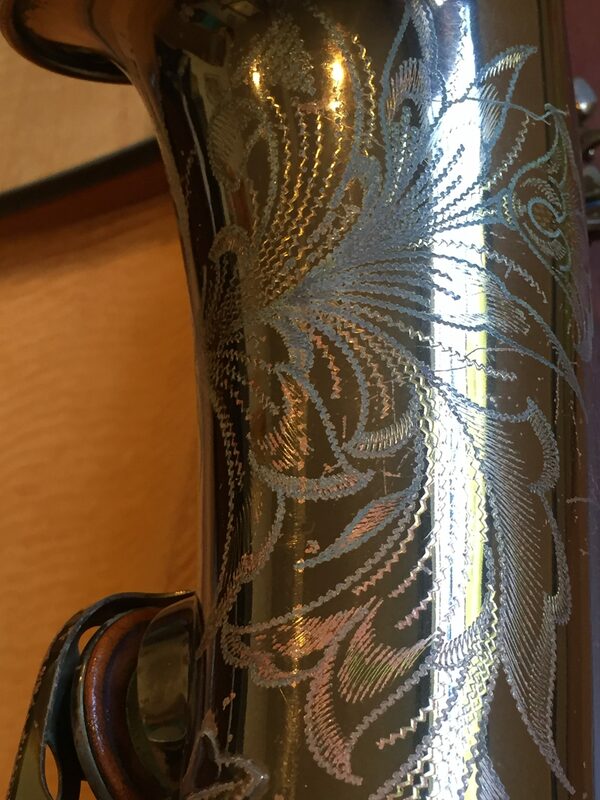 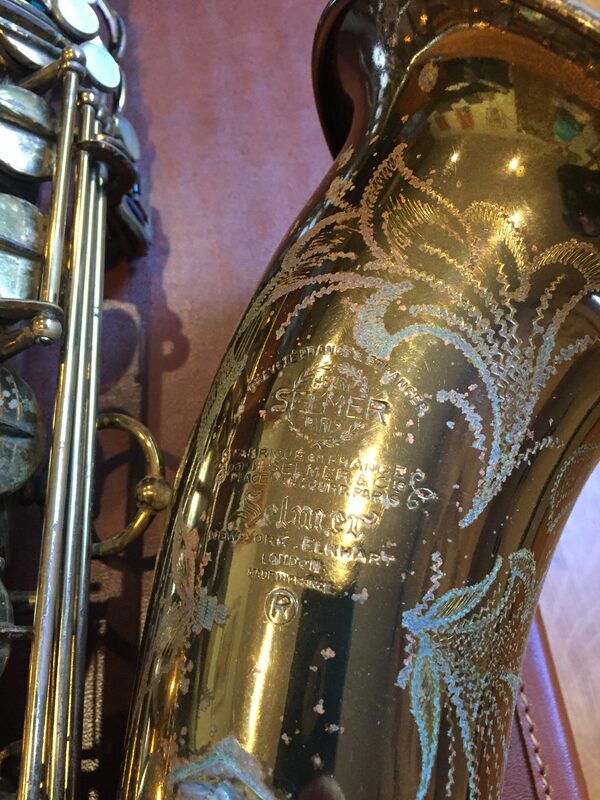 The horn itself is in excellent condition with normal lacquer wear from age and use, scratches and some very minor dings, no serious damage. 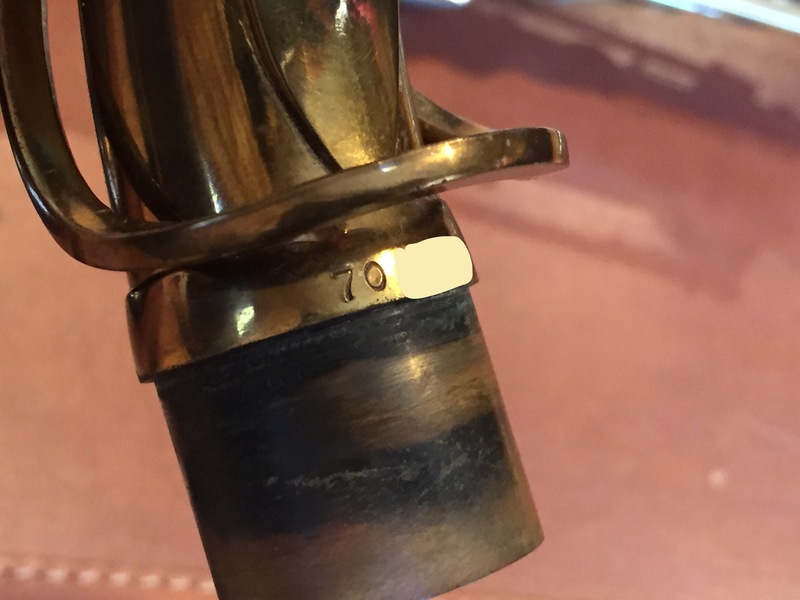 The neck shares the original serial number and has a few scratches but structurally it is near perfect and still looking very nice. 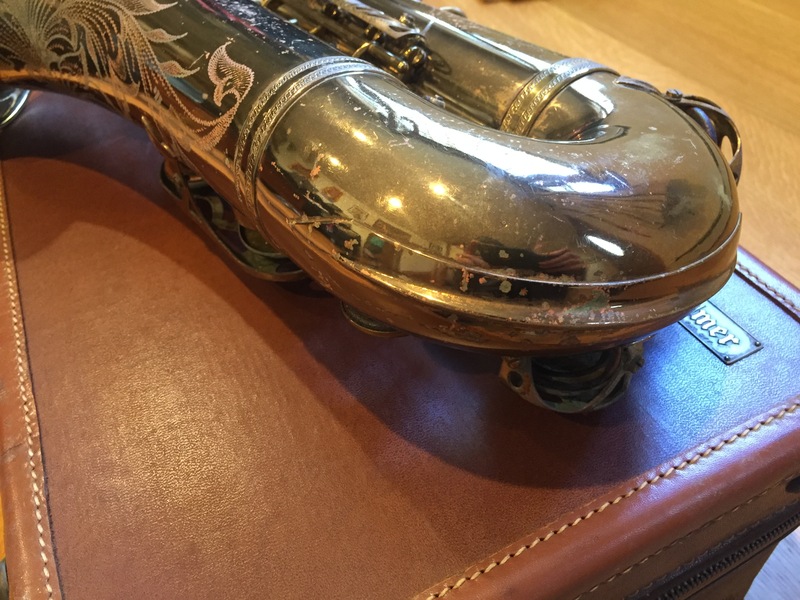 Some pads are missing, the ones present have original Tone-X resonators in them. 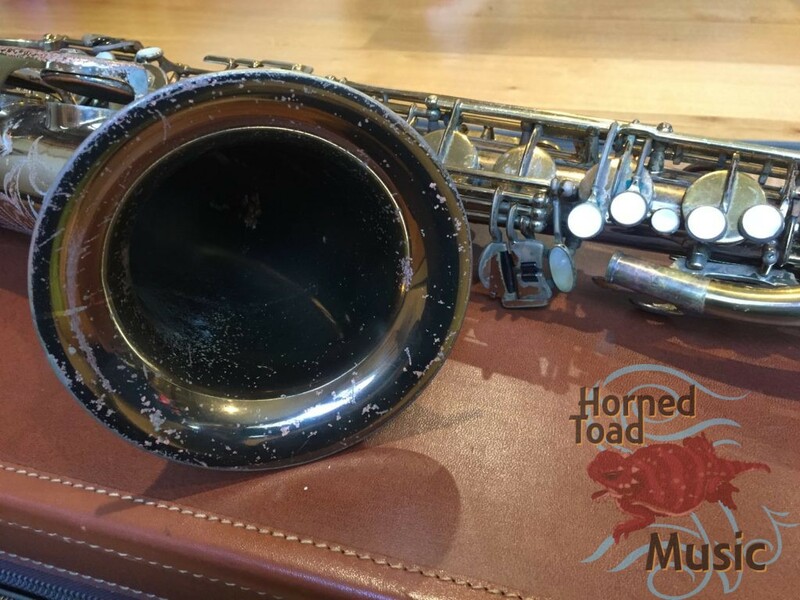 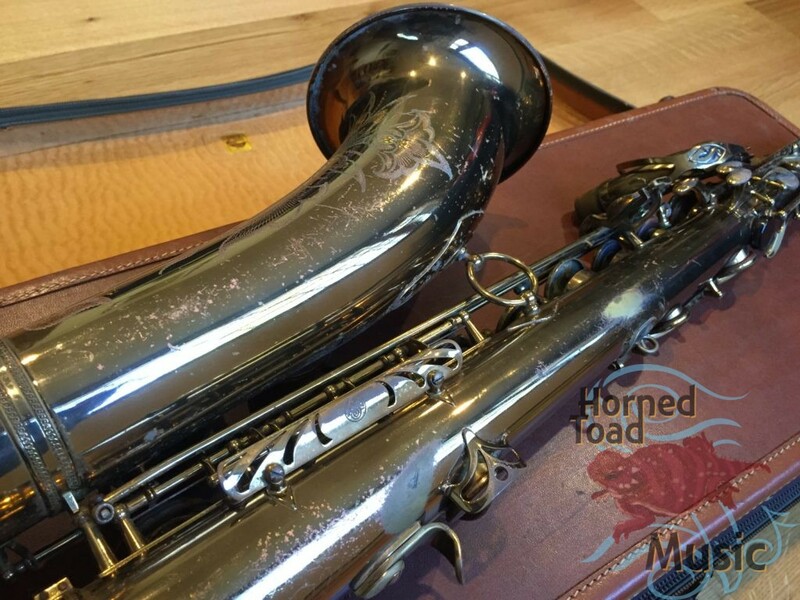 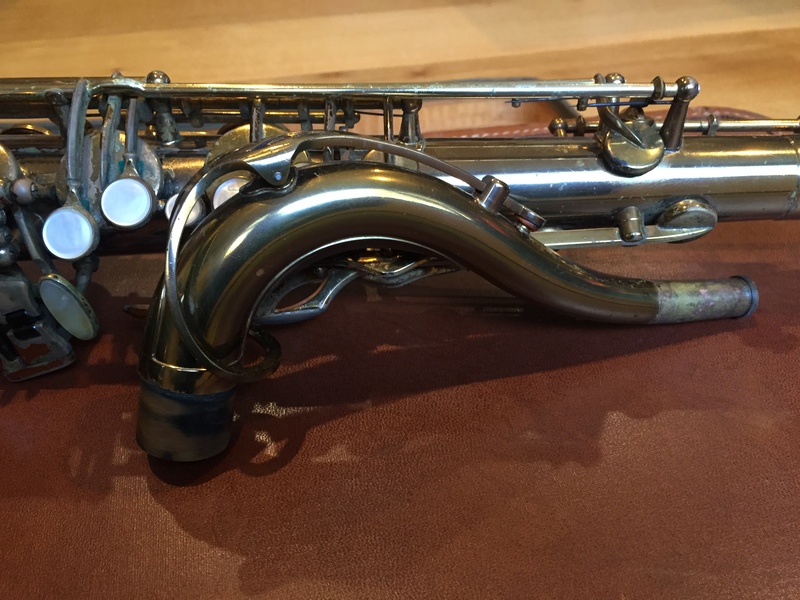 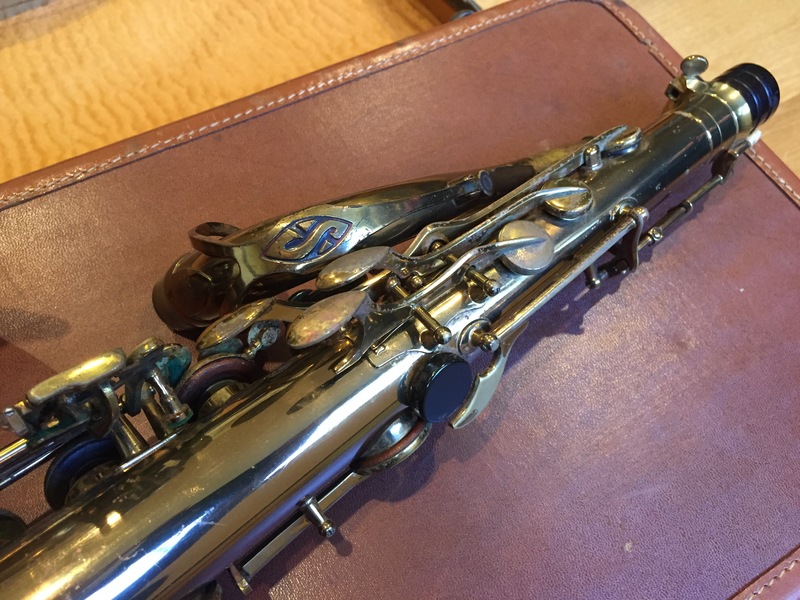 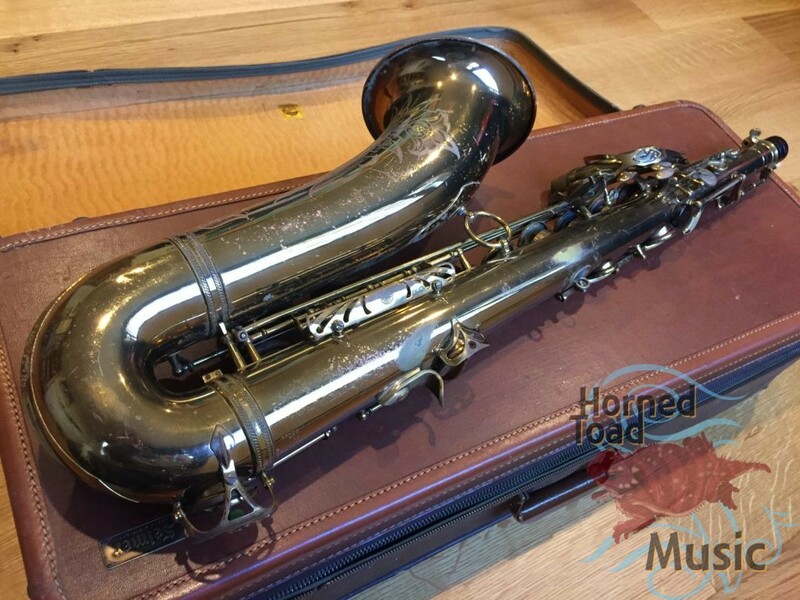 This horn certainly needs an overhaul, has been sitting a long time but it is is fine shape and quite straight without any extreme measures needed. It is going to be a wonderful vintage powerhouse with a deep complex tone as these early 70k tenors usually are. 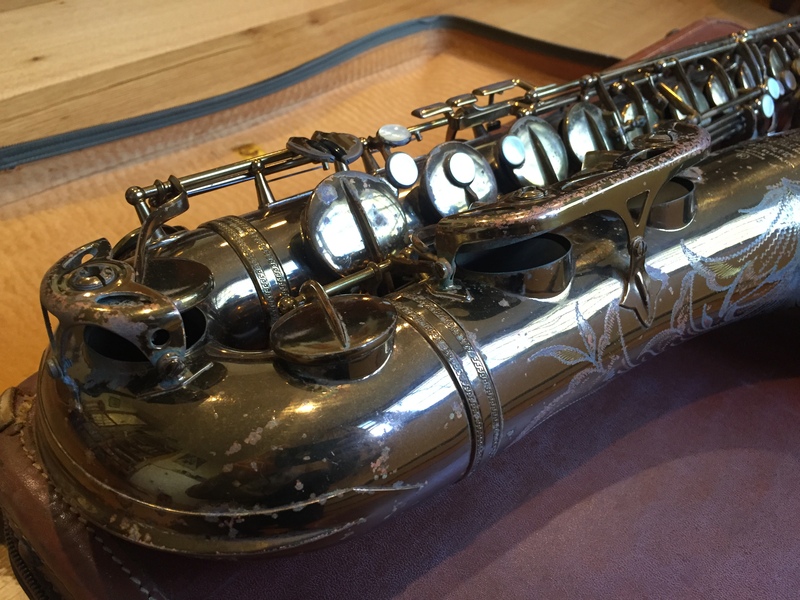 I just have not gotten around to setting this one up and after looking through the artifacts I am not sure I want to change it right now. It’s going to be a great feeling to play this horn and have decades of legend in your hand and sound.